They have been “Livin’ the Dream” in Chattanooga, Ohio, for the past 37 years, but now Barney and Twila Lehman will find new ways to follow their dreams. For nearly 4 decades the couple owned and operated the Chatt Bar but in May of this year they sold the popular local establishment. Chatt Bar celebration, 28 September 2013. 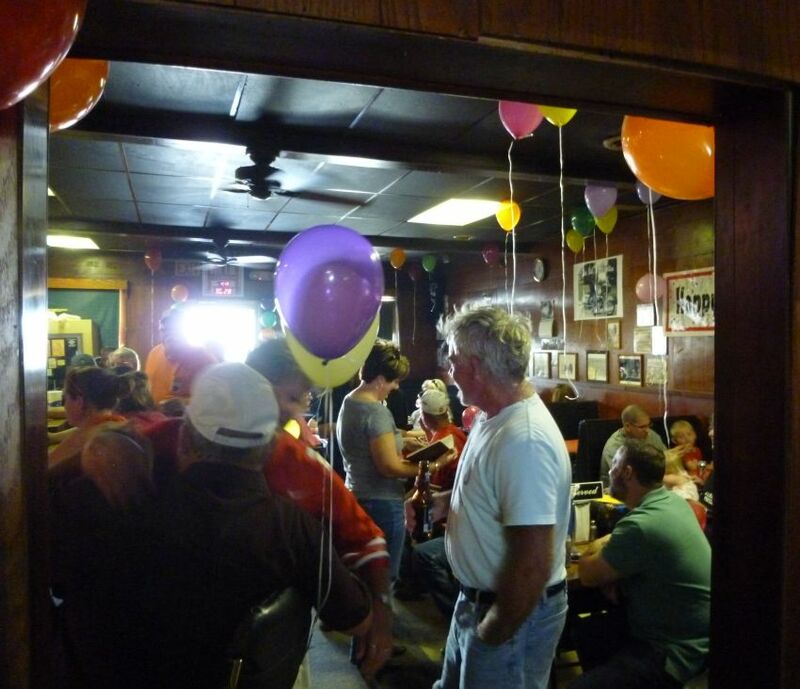 Many friends, locals, and bar patrons showed up to congratulate and wish the Lehmans well. It was standing room only inside the bar with a tent outside for the overflow. There was delicious food, cake, and spirits to celebrate the occasion. 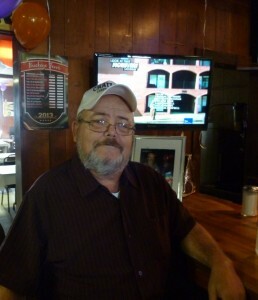 The late co-owner Dean Strawn was remembered with photos. I sat across from a couple Chattanoogians and I enjoyed listening to them reminisce and tell stories about Chatt. 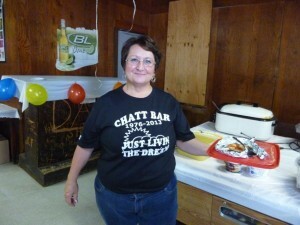 The renowned Chatt Bar is over 100 years old and was at one time called a saloon. These days the sign attached to the outside of the building reads “Chatt Home Restaurant.” I have even heard some call it by the classy name of Chatt Cafe, but to everyone around here it is known as the Chatt Bar. They say there were two bars in Chatt at one time, but the current one sits nearly in the middle of town. The building that houses the Chatt Bar was originally one of three buildings that made up the Chattanooga Hotel. In the early 1900s the old hotel was owned by Nick Jennings of Berne. The small building at the north end housed some small shops: a barber shop, an ice cream store, and a hat store. 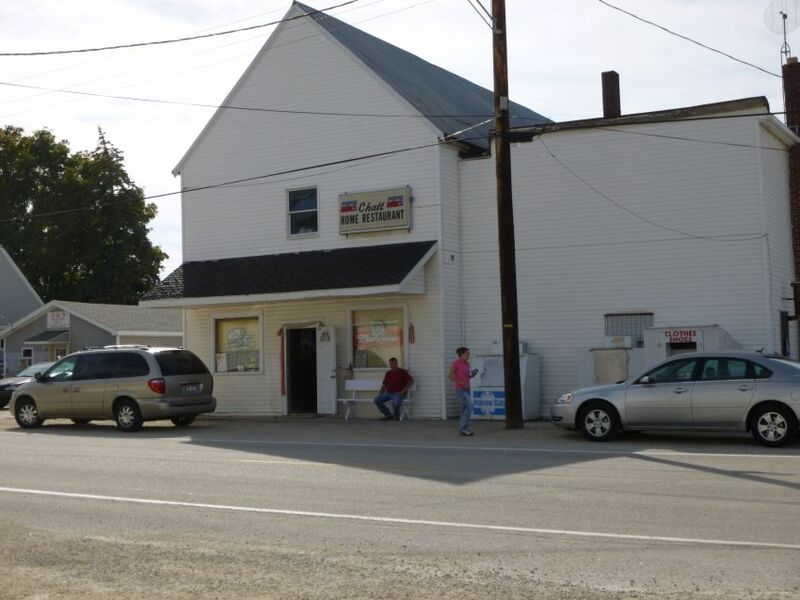 There was pool hall in the middle building and the bar/restaurant at the south end. 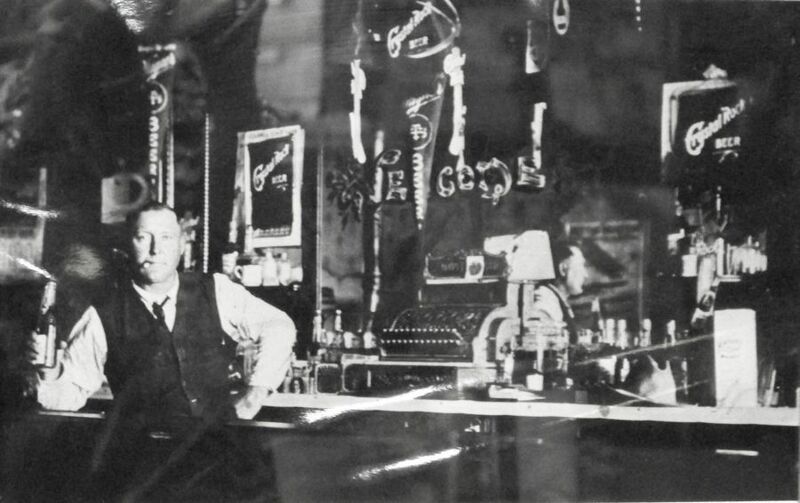 Barney Lehman and Dean Strawn ran the bar from 1998 until Dean’s death in 2012. Barney and his wife Twila ran it after Dean’s death. According to the 1910 census, Perry Gibbons was a “saloon owner” in Chatt and Fred Heffner was a bartender at a saloon. 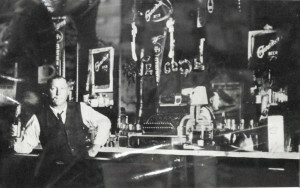 Perry was the bar’s third owner. Gene Alt supposedly gave it the name of “Chatt Bar.” I remember that Ray Hemmelgarn owned and operated the bar/restaurant when I was a child. According to Perry Gibbon’s granddaughter, Wanda Lou Gilliland, owner Ray Hemmelgarn served the best chili soup around. It seems that Ray’s mother made the soup and her secret ingredient was mashed potatoes, which she added to make the soup thick. Years ago, one of my St. Marys patients told me that he drove a Budweiser beer truck and delivered beer to the Chatt Bar when Ray Hemmelgarn owned it. That patient always called me “Chattanooga” after learning my connection to Chatt. Ray Hemmelgarn made changes to the bar when he owned it. He tore down the north building, made the pool hall into a kitchen, and moved the inside bar from the south wall to the north wall. The Chatt Bar has always opened early in the morning for breakfast. My dad used to go there every morning for coffee but the main morning draw was shooting the breeze with the area farmers and locals. Barney told me that my dad was often the first one to arrive at the Bar in the morning. My dad knew where Barney kept the key and so my dad would open up the bar and turn on the lights as soon as he got there. Knowing my dad, he probably plugged in the coffee pot, too. 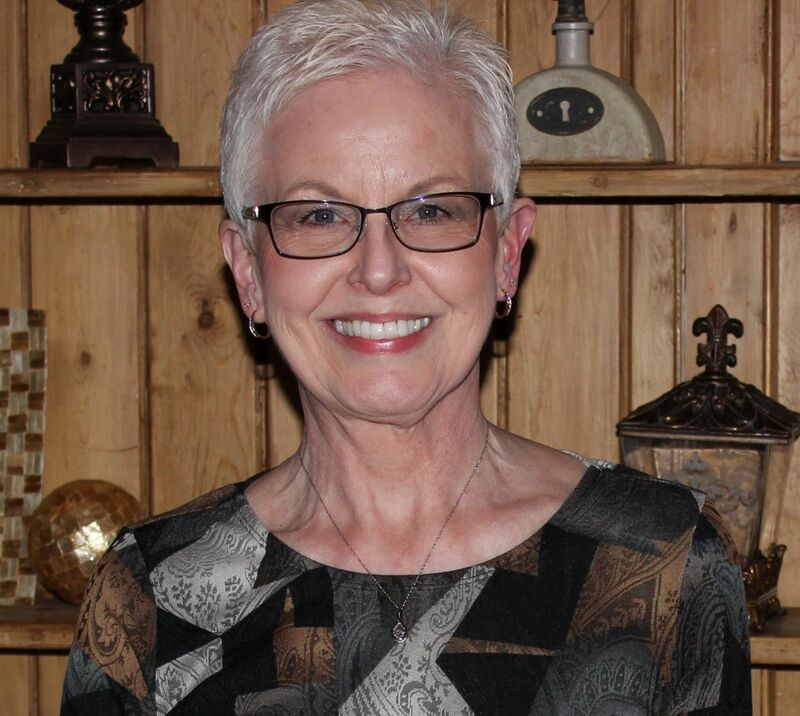 Twila told me that she was so nervous her first day on the job at the Bar that she couldn’t figure out how to make change for the $20 bill my dad gave her. He told her that three $5s & a $10 would be just fine! Someone in that morning group started a tradition at the Chatt Bar. When one of the morning regulars passed away the other others would put the deceased’s chair upside down on the table where he sat. I’m sure they did that with my dad’s chair when he passed away last year. When our son Jeff was little he also enjoyed going to the Chatt Bar with my dad. Jeff would bum quarters off my dad for video games. Jeff also remembers that Barney would put a Snickers candy bar in the freezer for him. Jeff still remembers those frozen Snickers bars. 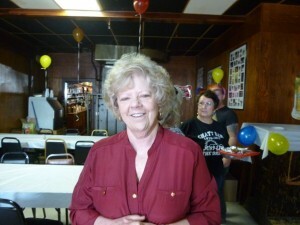 The Chatt Bar is still known for its good food. They are best known for their deep-fried pizza and breaded tenderloin sandwich. People come from miles around for the deep-fried pizza but I am partial to the breaded tenderloin. The jumbo tenderloin is huge and half a jumbo is plenty for me. Serve it up with deep-fried breaded dill pickles and you’ve got yourself one good meal. Some of my other favorites are breaded onion rings, fresh sausage sandwich, grilled tenderloin, and grilled or broasted chicken. 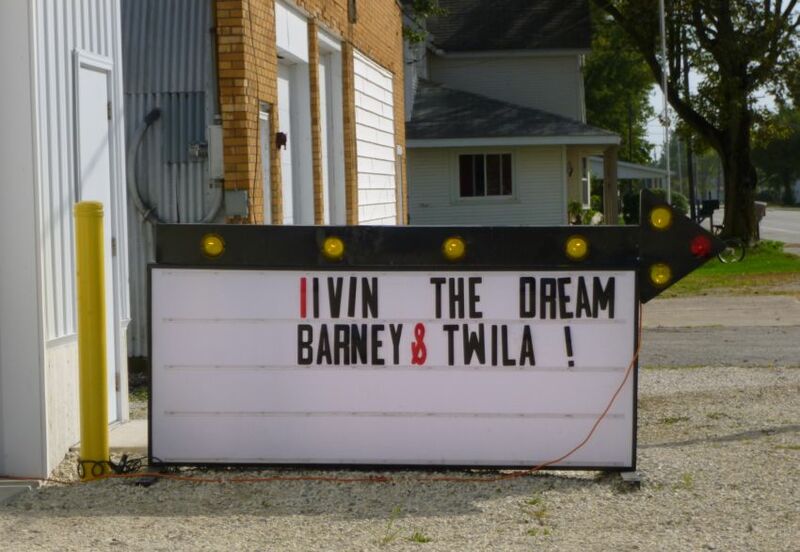 Congratulations and best wishes to Barney and Twila! Enjoy Livin’ Your Dream! INdeed the deep fried pizza is popular. My son seldom comes to the farm that he does not make a special trip to Chatt for the pizza. In fact he often brings associates from around the country there as a special treat. I believe two ladies on a hunting trip from Atlanta were among his latest guests for deep fried pizza. My wife is real big on the tenderloin also. Through in the deep fried pickles and mushrooms and you have a meal you will not soon forget. Chatt will always be home to me! So many great memories. Barney and Dean treated the Little league team when we won the league tournament in 1980! Riding on the fire truck after our upset win over wren was such a huge deal for all of us! Happy for Barney and Twyla to be able to retire and enjoy some time! Sounds like they give your team quite a celebration. There is nothing like a small town community. I LOVE the Chatt Bar. We went there for the first time on a Poker run, and its been a motorcycle ride destination for us ever since! Cannot wait for the weather to break, so we can make a ride out to have some Deep Fried Pizza! I agree. I am partial to their breaded tenderloins but all their food is great.